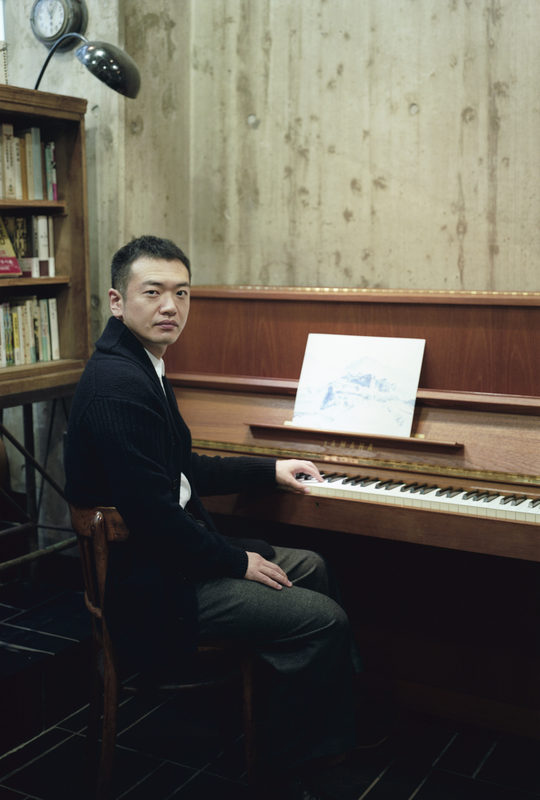 Umitaro Abe（born in 1978） is a Japanese composer and multi-instrumentalist. From early in his childhood he had familiarized himself with piano, violin, ethnic drums etc. and started composing through self-study. He majored musicology at Tokyo University of the Arts and Université Paris 8, and participated in creation of experimental films and theatre as composer during that period. Since he came back to Japan, he has been working tirelessly in a range of fields such as theatre, film, TV drama and collaboration with various creators, besides performance in solo and ensemble style. He has released 5 CD albums and every album has been highly acclaimed for his unique viewpoint for field-recording, liberated ensemble style based on classic or various compositions of sounds. Since 2007, Abe has been working on music for theatre pieces directed by Yukio Ninagawa, Shakespeare pieces in particular, and has been pursuit new potential of theatre music, facing both original play and Ninagawa’s mise-en-scène. In collaboration work with Takashi Homma, a Japanese photographer, they created a short film searching for relationship of photography/movie and music. Abe worked on music for a musical piece ‘The Cat That Lived a Million Times’ (2013) directed by Inbal Pinto and Avshalom Pollak as composer (in collaboration with Rocket Matsu) and music director. His unique sense and wisdom on stage music were displayed in this work. ©2019 Umitaro ABE All Rights Reserved.